Help Us Fight for Musicians in 2016! 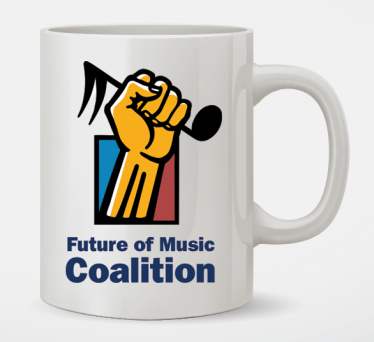 You’ve stood behind Future of Music Coalition through 15 years of fighting for musicians in the halls of power and beyond. We can’t thank you enough. Did you know that FMC is building new systems to improve the lives of music creators? We’re not raising money for an office Jacuzzi (though that would be awesome): we’re connecting musicians to decision-makers, hosting events and workshops and providing amazing—and free!—resources for artists and their teams. In 2016, we will drive a global artist movement based on the core values of fairness and opportunity. We will help musicians lead the charge. And we will rally music fans and supporters to our cause. Together, we will fix a broken industry. Every day, we have the incredible privilege of engaging with artists and music supporters. You tell us about your challenges and your accomplishments. You ask questions—sometimes very tricky ones—because you know that Team FMC will take the time to answer, even if we have to make ten more calls to get it! We live for this stuff. It’s our passion and it’s our commitment. Your support makes our commitment possible. It’s how we conduct groundbreaking studies into artist revenue streams. It’s how we stand up to the New York Times when they mischaracterize the artist experience. It’s how we report out on every policy proposal that impacts musicians and composers. It’s how weprevent giant companies from treating artists like second-class citizens. It’s how we offer clear information on a complex and evolving marketplace. It’s how we win. Do you know how much we love doing all of this with you? 2016 is going to be incredible—seriously, we can’t wait to show you what we’re building.Can you make a tax-deductible donation today to keep us moving forward? Recurring donations are awesome, too! Thank you for your continued support and friendship. Now let’s get to work! P.S. Through the end of the year, we’re excited to offer new monthly donors giving $10+ a month or donors who give a one-time donation of $75 or more a special limited edition FMC mug. This offer is only available to donations we receive before the end of the years, so don’t delay, donate now!